Awesome upgrade Dellorto SHA carb for most bikes. Runtong SHA 15.15 lever choke dellorto clone. 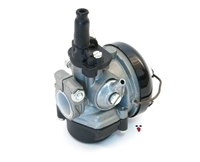 While this carb is always sold as a 15.15 clone, it's important to note that the venturi size is closer to 14mm. 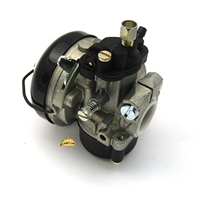 19.5mm AD PHBG CLONE carburetor. This is the air-leak proof spigot mount version. Comes with an AN atomizer, pull choke and three un-marked jets.